MÁV (Hungarian State Railways) is the national rail operator, and their ‘MÁV Nosztalgia‘ division maintains a fleet of historic locomotives and carriages, as well as operating tour trains across the Hungarian countryside. 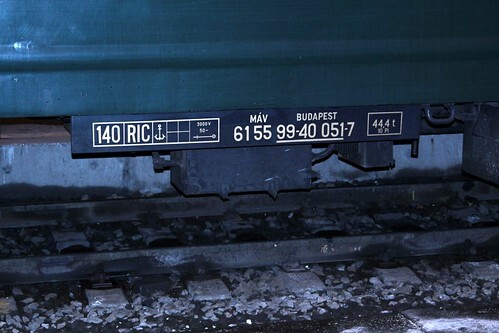 The train I saw appears to have been transferred by MÁV Class V43 electric locomotive 1127. On the other end was diesel locomotive A25.016 – formerly owned by an industrial railway operator, it is of the same design as the MÁV Class M44. As for the single carriage, the data plate at floor level tells you everything you need to know. 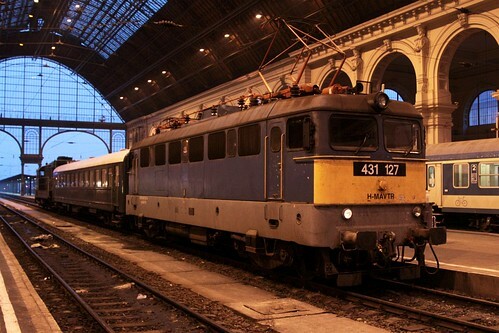 The Hungarian-language ‘Vonatösszeállítás’ (‘train composition’) website has a full listing of the MÁV Nosztalgia fleet – it says that number 051 is a ‘Kádár szalon’ carriage. A photo essay showing an earlier outing of diesel locomotive A25.016 around Hungary. 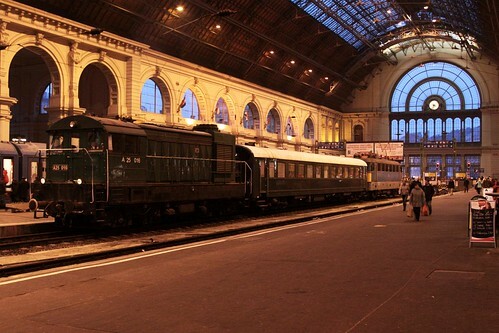 This entry was posted in Trains and tagged Budapest, heritage railways, Hungary, MÁV, railfans, railways. Bookmark the permalink.